This production opened on April 28, 2006 and closed on May 7, 2006. 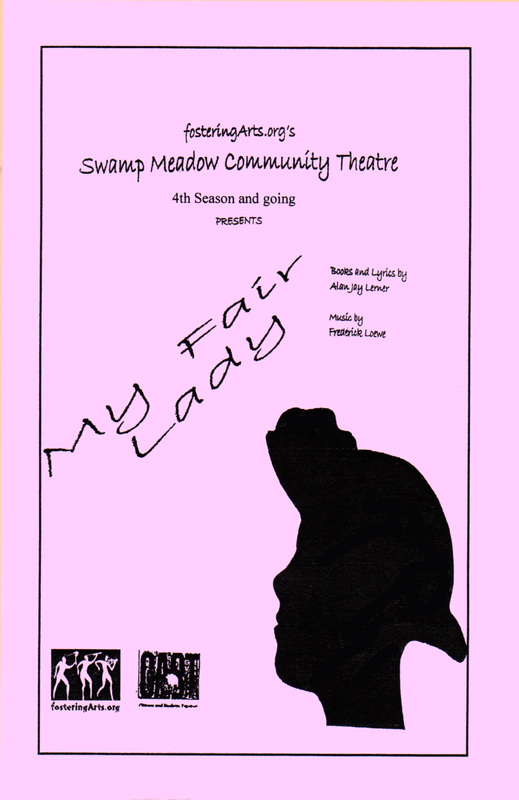 Auditions for My Fair Lady went very well for Swamp Meadow Community Theatre and our cast has been chosen. Check out our “who’s who” list! All the actors are working hard to learn their lines and the wonderful music for this timeless play. This list is organized by order of appearance.